/ What Does Asparagus Taste Like? Know It Here! What Does Asparagus Taste Like? Know It Here! 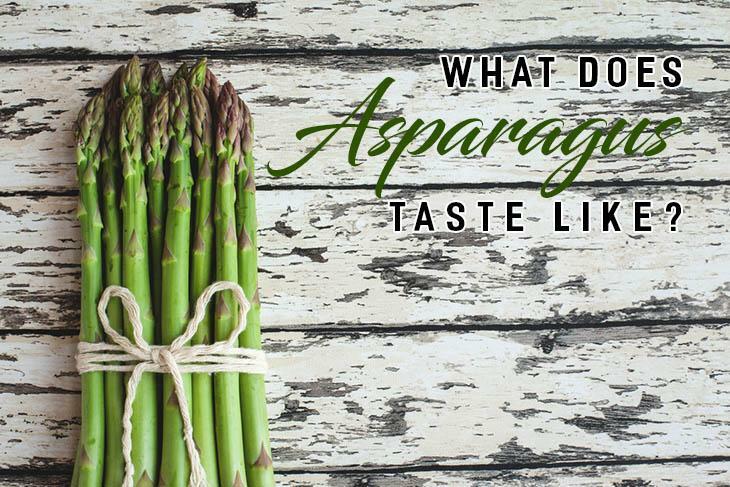 Are you among those people that are wondering what does asparagus taste like? If yes, then you should also be the one reading this. Most people would ignore asparagus and so they don’t really have an idea whether what it tastes like. 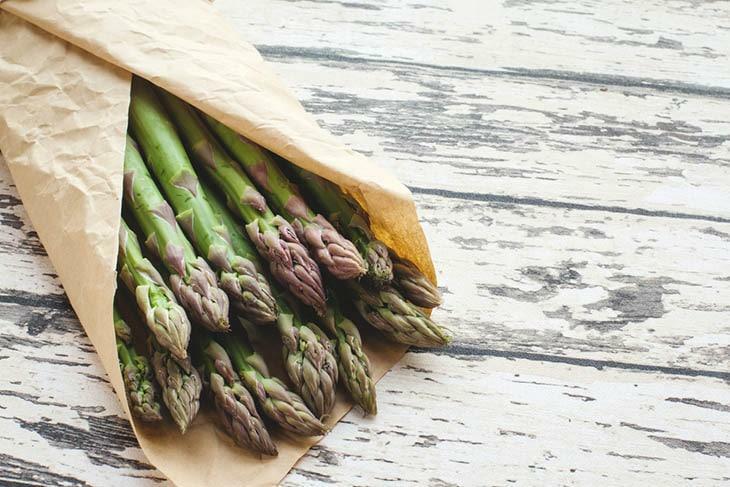 With that, why not try including asparagus in your list of vegetables to shop from the store. You will definitely be amazed at how great it would taste. Aside from that, there are also proper ways on how to store, prepare and cook them which contributes a lot when it comes to their flavor. 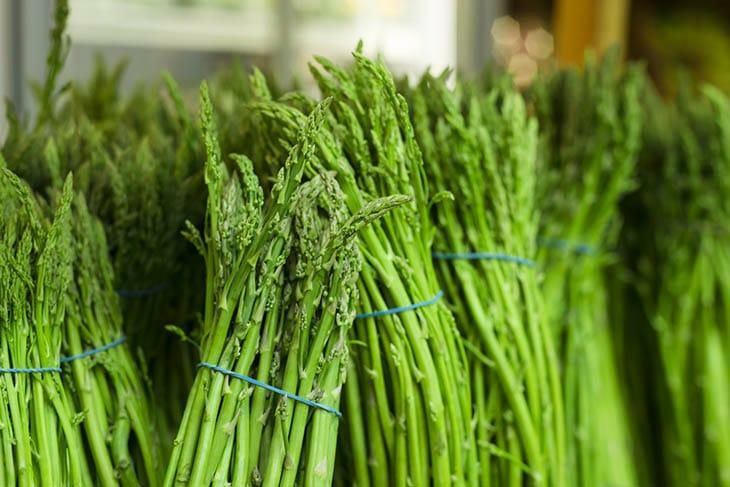 It typically appear as a spear of pencil size, asparagus has a bright green color along with a compact head. It is also a favorite vegetable due to its nutrients such as antioxidants and fiber. Most asparagus is sold at the organic markets or at local stores which are as well available in white and purple aside from green. 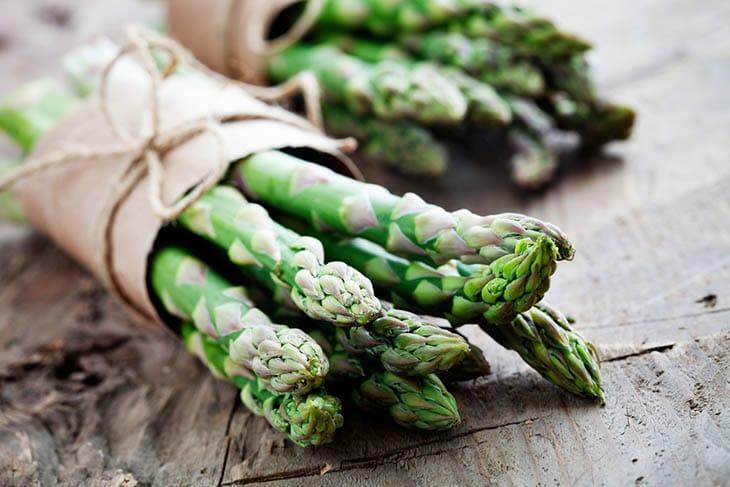 In addition to that, asparagus is also considered as one among the veggies which would show up in the spring garden. It is also a sign that a season of bounty is upcoming. Asparagus is also a nutritious vegetable which is packed with great loads of antioxidants and fibers. And it is used in most of the home cooked meals as well as perfect for those in weight loss diets. Upon knowing what asparagus is, you should also learn what does asparagus taste like. Well, asparagus has its very distinct flavor which is a bit hard to describe precisely. Asparagus has a rather earthy taste which is the same with how broccoli tastes, however, a bit salty and bitter too. Its taste is as compared to the green beans however it has a lot stronger and more noticeable flavor. The same with mushrooms, asparagus has this ability to absorb other flavors once cooked with different foods making it as a fantastic side dish for numbers of meals. Trying asparagus is indeed the best way for you to learn how it tastes like. In addition, asparagus is a vegetable that could go well with certain foods that are considered to be a bit salty or those with plain taste. Some of these foods are bacon, ham and cheese, olives, tomatoes, chickpeas, chicken, lamb, meat, sharp cheeses, pasta, hollandaise cheese and rice as well. Still, there are wide numbers of other foods out there that would perfectly go along with the said vegetable providing you a unique taste. Aside from its ability to goes well with some other foods, asparagus also has numbers of health benefits. In fact, about 70% of the daily allowance for Vitamin K might be supplied by just a cup of this vegetable. Indeed, asparagus is a nutrient powerhouse which must not be ignored at all. Along with that, it is also loaded with some anti-inflammatory nutrients that might help in reducing the risk of chronic diseases such as diabetes, heart disease, and high blood pressure. 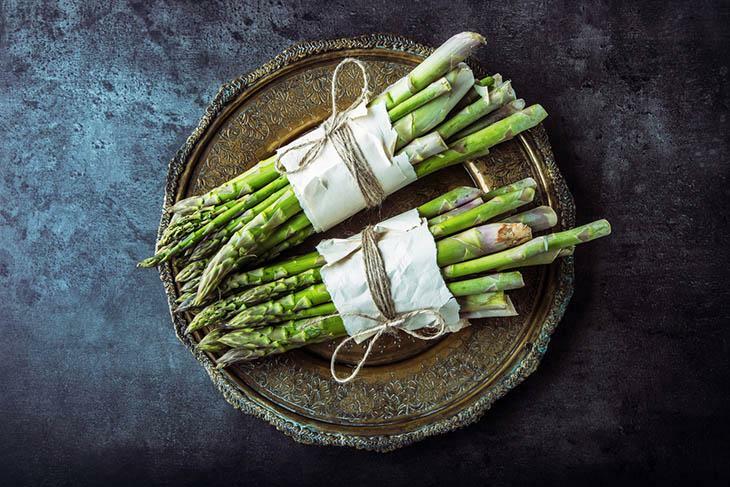 And also, asparagus is packed with healthful fiber which could help in speeding up the digestion as well as promoting healthy intestinal flora. Being a great source of fiber it could flush out the toxins from the body therefore would keep the cells healthy and out from trouble from those damaging effects of the free radicals. 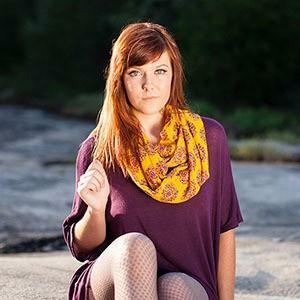 And the assurance of high blood sugar and heart disease reduction is risk is guaranteed as well. 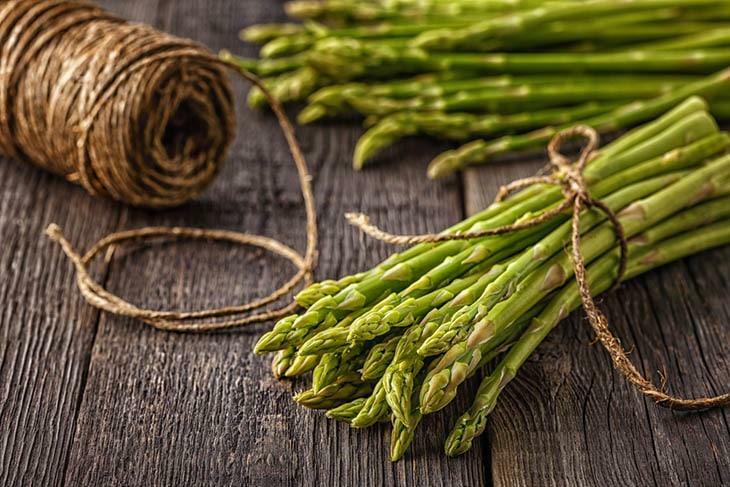 Definitely, you will not just want to try asparagus to know its taste but you might want to include this in your diet because of its numerous health benefits. There is also a need for you to trim woody base stems of the vegetables prior to cooking it in certain ways based on your choice. Simply use a sharp knife as for cutting off an inch from the cut end and then throw it away. The next thing you should do is to cook the remaining portions in your chosen way. You might consider stir-frying, boiling, roasting or add it to the pasta. 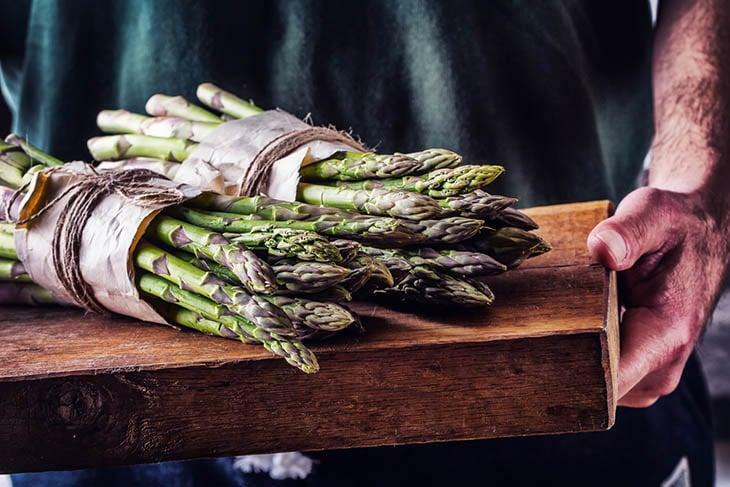 Indeed, preparing asparagus is very easy in fact you could just add a bit of olive oil, pepper and salt then roast it in the oven having 350 degrees Celsius up until you see its spears are already bright green as well as tender for around 10 minutes. You must consider adding some other ingredients such as garlic and lemon apart from pepper and salt. Indeed, this dish could be served as a side dish along with a steak. Some other asparagus recipes might as well require different preparations. Simply put the bunch having their trimmed ends in the cup of a water at the same time the stalks should be standing straight up. Now, loosely cover the tips with the use of plastic bag as for keeping the water from evaporating out of the vegetables. And finally, put the entire thing in the refrigerator. It involves tying the asparagus into bundles and boiling them in the pot of water with a tablespoon of salt only for a while. After that, fill them in the large bowl of ice cold water keeping the flavor at the same time giving them a delicious and crunchy texture. This will also make it a lot easier to store in the fridge or freezer. This option will indeed preserve the taste of the asparagus, however, the texture would turn to be a bit softer. You just have to put the spear in the steaming basket and cover. Allow it to cook for at least 3 to 4 minutes. You have to chop the asparagus, heat up and toss in and stir in the pan for at least a minute until it is cooked. This option is great since asparagus is often found in Asian cooking. Indeed, this one is a great way in order to increase the characteristic flavor of asparagus. Prepare the asparagus in the mixing bowl and drizzle it with olive oil. After that, sprinkle them with pepper, parmesan cheese, garlic, and salt. Preheat the oven then after line a tray with baking paper. Lay the spears and let them roast in the oven for about 12 to 15 minutes based on the thickness or up until they are already tender. Heat up the pan then drizzle it with the use of olive oil or some other kinds of oil that you have. Put the chopped or whole spears then cook until they have already absorbed most of the oil. As for enhancing the flavor, you might as well add some pepper and salt. This will indeed give another kind of great texture at the same instilling a new flavorful taste. The above-mentioned ways of cooking asparagus are just among the common ones which would allow you to learn the taste of the said vegetable. However, there might be instances that most people would eat raw asparagus along with feta cheese, green and black olives, salads and a lot more. There are as well other ways or recipes on how you could enjoy the great and distinct taste of asparagus. Asparagus is indeed a very versatile as well as a practical vegetable which could be eaten either cooked or raw. It also goes well in different ways and you could enjoy it as the part of your healthy meal. So, if you are among those who have not yet tried asparagus then go ahead and buy a bunch of the said vegetable. This will also reassure you whether what asparagus tastes like. Share with us your experience by leaving your comments below! Hit like and share too if you find the article interesting! Happy reading everyone!